Black Diamond is BACK! Above: Fresh Hoodwire Carabiners, the iconic Fusion Ice Tool, and the NEW Vector Helmet! We’re super excited to announce that Black Diamond is coming back to the 2014 Mount Washington Valley Ice Fest in proper style. They are bringing their full fleet of demo’s knowing that almost all of it was out and gone during the event. They will have crampons and tools galore for you to check out. We’re also hoping they will be bringing some of their new Black Diamond apparel line for you all to check out. We’ll keep you posted about that if it becomes 100%. But one thing is for sure, Black Diamond makes some of the best hardware out there. For them it’s all about climbing and skiing, and well that’s what it’s all about for us too! 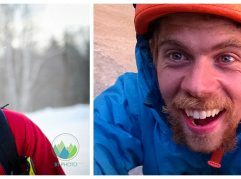 Similar to us it is a company run and designed by climbers, and well, so is the Mount Washington Valley Ice Fest. Have you checked out their new vector helmet? It’s pretty hot! And if you haven’t ever checked out their Fusion Ice Tool, put it on the list to do so at the Ice Fest. We’re pretty stoked to have these guys back and hope you all are too! 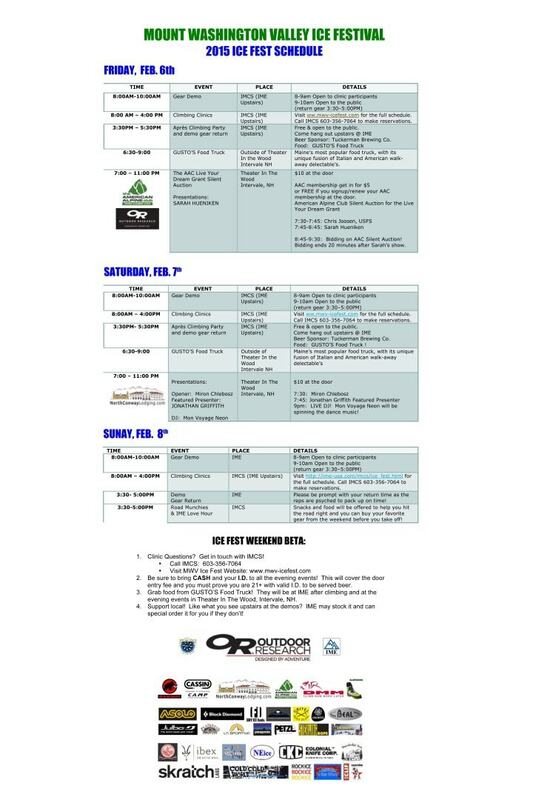 Official 2015 MWV Ice Fest Schedule!